Like much of my other old backpacking gear, my stove was a true classic. The iconic Swiss-made Svea 123. A brass stove that burns white gas, weighs well over a pound - before you add in the weight of the fuel ... It was time for an update. 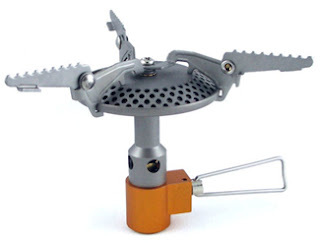 I did get an alcohol stove on sale from Minibulldesign, but decided that while I'd certainly use it on a solo hike, I wanted something that would boil more water faster for the two of us. So, I started looking into cannister stoves - The type where the stove screws directly into the top of a propane cannister. 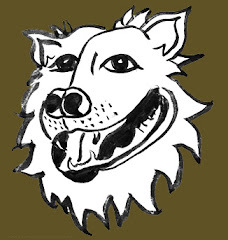 Backpackinglight.com is an excellent reference for those looking to shed pounds off their backs. They did a review of what, at the time, was billed as the lightest canister stove on the market - the Monatauk Gnat. Primarily constructed of titanium, it sports a large burner head and collapsible pot supports that grip the pot to prevent it from sliding off. It weighs in at 1.7 ozs (before you screw on a canister of fuel) and is rated at 12000 BTU. I am becoming a fan of the Freezer Bag Cooking method. The idea is to carry easily rehydrated foods, premixed in freezer baggies that can withstand boiling water. One simply adds boiling water to the baggie, zip it closed, and place it in a wool hat or other cozy for 5-10 minutes. Open the baggie and eat it with a spoon. This all but eliminates any cleanup, costs a fraction of freeze dried foods, and retains nutrients better. 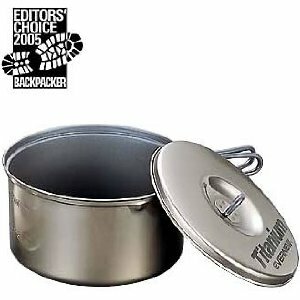 The folks at trailcooking.com really promote this concept, and publish the must-have cookbook "Freezer Bag Cooking: Trail Food Made Simple". This concept also simplifies the backpacker's kitchen. A stove like the Gnat, a windscreen, a simple pot, and a long-handled spoon is really all one needs. Because there will be two of us, I opted for the award-winning, REI Ti Ware Nonstick 1.3 liter titanium Pot weighing in at 6 ozs. Spendy, but titanium is light and strong - Not likely to become misshapened by dropping my pack in exhaustion! As of this writing, REI is no longer offering this, but Evernew (who probably made it for REI in the first place) is. I just need to acquire a couple of long-handled Ti spoons (sporks could puncture baggies), and fabricate a wind screen for the stove, and I'll be set for cooking on the trail. We've been here for a few years now. Mom passed on, and Dad's relatively healthy and living in an assisted living community. I got into Ski Patrol, and outfitted myself with some winter camping gear for a course in Mountain Travel and Rescue. 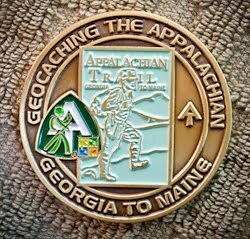 We started talking about the AT again, reading trail journals, everything we could find on the web, and several of the better books ... We decided on a 2012 late March, northbound start. We're outfitting ourselves this year, walking a lot, and we'll be backpacking in some of the great parks here in Michigan. We have the typical maladies of folks our age, and we latched onto the lightweight backpacking concept in the hope it would spare our knees and backs! We're outfitting ourselves with gear that we feel is the best compromise between weight and comfort, and we're hoping to keep our total pack weight under 30 lbs including water, and food for 5 days. We're thinking thru whether we want to replenish thru drop shipments, and maybe a bounce box, or just go with the flow and replenish at grocery stores along the way ... We're inclined towards a hybrid of the two. A few strategically-placed boxes to supplement what we find in trail towns. Mary long ago told her employer to take her job and shove it, and I just need to figure out when to leave my part-time gig at a big-box hardware store. We'll want to have plenty of opportunity to get out into the wilderness, get our legs under us, and fine-tune our kit.